Most people are used to accumulate great amounts of old stuff… Some of such items were really needed for some time and then they lost their necessity as time passes; others we simply wanted to have. However these things end up in our possession, a lot of times they sit and collect dust, or they proudly serve their purpose for a number of months or years but then we move onto newer things or get tired of the old stuff. When this happens you can get rid of it. But how to do it? What do you usually do when you accumulate so many items that you no longer have enough space for them? We offer you to earn some extra money by selling your old stuff! Do you know the ways how to do it? WE know! Nowadays selling old stuff becomes easier than ever. There is a huge amount of selling apps that make the process quicker and simpler. In this article, we have gathered the best selling apps for your old things! These apps will help you to sell your unwanted things right now whether it is a bicycle that clutters up your garage or an old armchair that is not needed. Have a look! eBay is one of the high rated apps to sell and to buy stuff that’s why it is the first in our list. It is used worldwide. No doubt that you have ever heard about this app too. This great app is user-friendly, quick and effective. eBay gets you top prices on the items you love, and the best value for the things you want to sell. 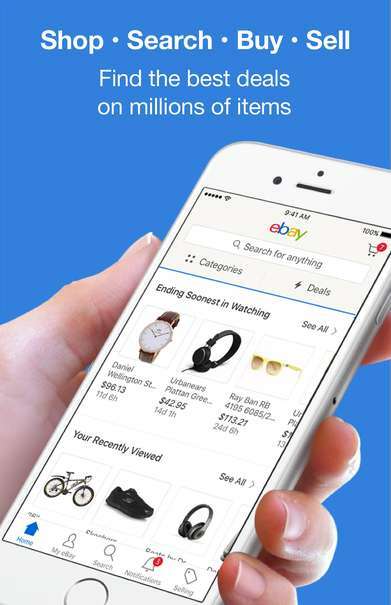 Whether you shop or sell, eBay’s mobile app does it all. We’ll stop here so if you like the service you can start shopping now. Download the eBay app and start selling your stuff right now! antique second-hand items. Using this service you will sell and earn cash easily. It’s the best opportunity to make money by selling things that you no longer need. Here are different categories of products: Cars and Motors, Electronics, Fashion and Accessories, Babies and Children, Sports, Movies, Books and Music, Home and Garden, and more others. How to sell on letgo. 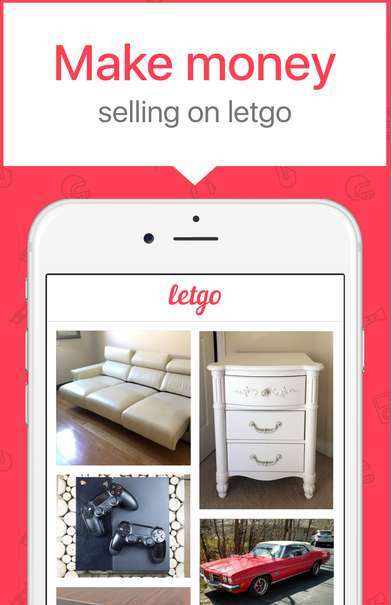 Your goods can be posted on letgo in one minute. It is too simple to create an ad here. You can add photos to your posts ( up to 5 ones). You don’t need even to leave the app to take pictures. Make it right here. Share your product with your WhatsApp contacts or on Facebook, or just send an email to your friends to help you to sell your product faster. 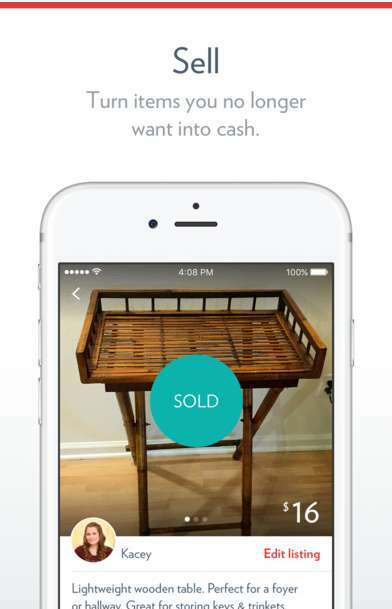 You can chat privately with buyers without leaving the app to sell items and negotiate their prices. Enjoy the experience of having a flea market on your smartphone! 5miles is one of the easiest and safe ways to sell used stuff locally. This app is much more location specific than others, as it allows you to buy something unique or to sell your unneeded items that are within five miles of your location. This means that with 5miles app, goods never have to travel far to reach their recipient. It’s a secure app that encourages verification of all of its members. You can list an unlimited number of items for sale here. Just take a picture, add a price/description and post your listing. It offers a wide range of features – one of the best being the ability to voice record. This allows you to create a detailed description of an item, quickly and easily. You can also communicate through the app, making the selling process easier. Close5 is an easy and effective way to sell your old stuff locally or in other areas. Searching is available withing 5 miles or it is possible to extend searching radius to scope out items in new areas. Wish app is an absolutely handy and effective tool to sell your old stuff. Over 6 million people get used selling and buying products on Wish. To connect with buyers you can use private chats, so you can sell the safe way here. 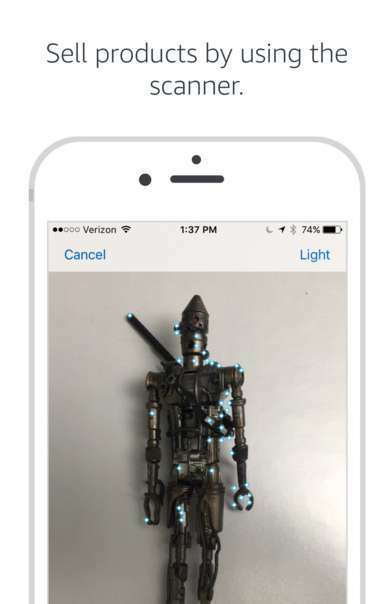 You can take photos of the items you’d like to sell right from the Wish app. Selling items have never been easier and faster! 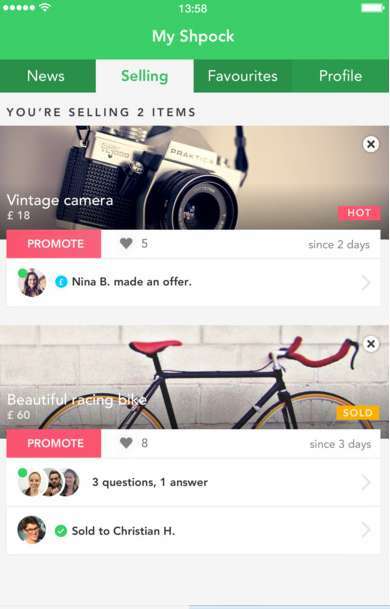 Wallapop is an app that you can use for selling unwanted things. It is available on iPhone and Android devices. 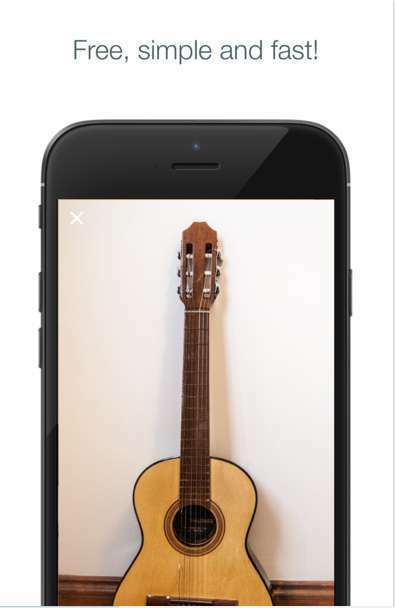 Wallapop is a free mobile flea market highly valued by its users. 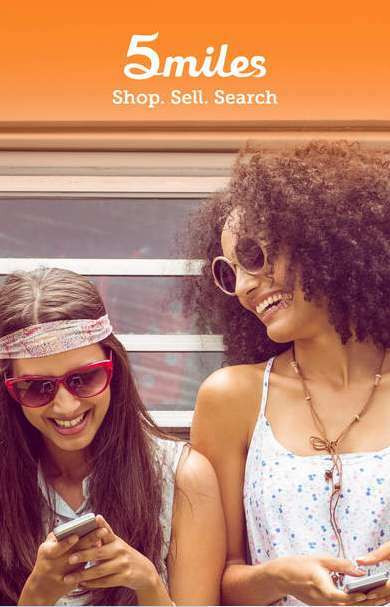 With Wallapop it’s easy, fast and free to sell almost anything you like! Just take a picture and list it on Wallapop—and voila, it’s instantly available to buyers in your local area. Are you selling vintage or collectable items? Moving and have furniture to sell? Have no longer wanted smartphone? 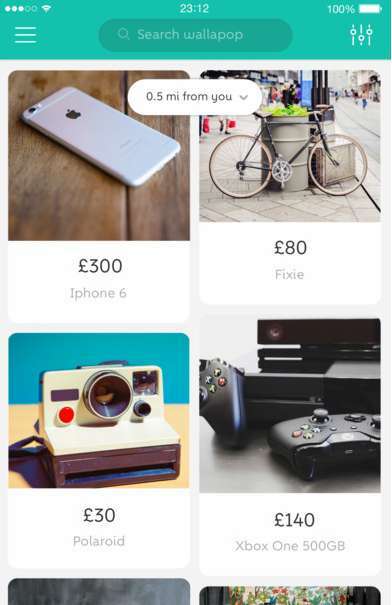 Try Wallapop to make money from your old stuff! Here you will find a great variety of categories: Cars, Electronics, Phones and Tablets, Fashion and Accessories, Clothes, Items for Children, Sports Equipment, Books, Bikes and Cars, Furniture and more. More than TEN MILLION people have joined Wallapop already! Join the community too and discover great things right now! 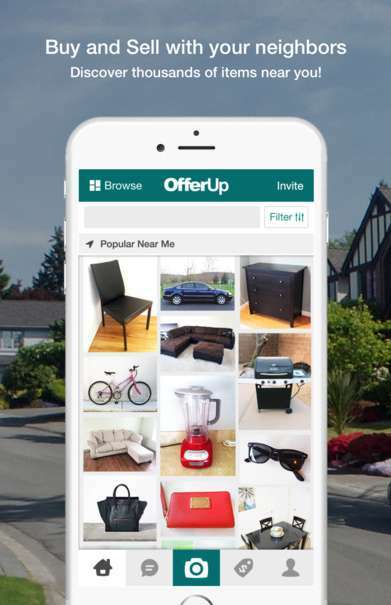 Offerup is an app which is similar to many other applications for selling stuff. You can sell fast and easy using this service. It is one of the largest free flea markets for selling and buying locally. On the other hand, Offerup app has its own benefits and specifics. One of the distinctive features is that you can build your reputation with your unique seller profile page. You can rate those with whom you have dealt, and you can be rated to by your buyers. Rating effects how you buy and sell. So, buyers will see your reputation. If it is more than 4 stars, you will have more chance to sell more stuff. Would you like to become a member of a great Offerup’s community? You can start right now! Varagesale is an effective tool which will help you to sell unused stuff which has been collected in your home with years. It is one of the safest applications to sell stuff locally. 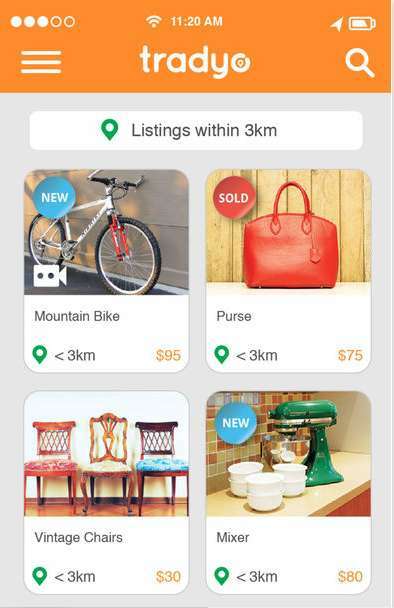 You can connect with buyers from your neighbourhood right in the app. 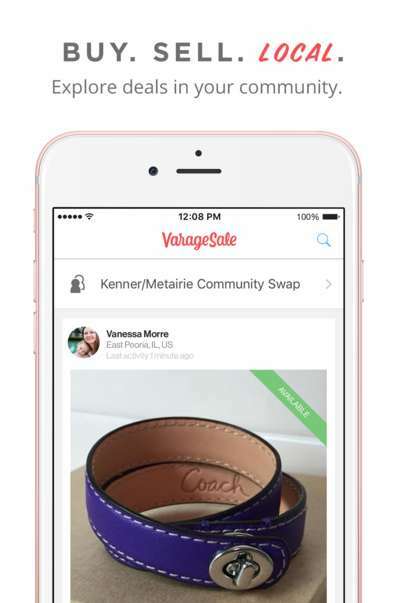 Varagesale’s users are always connected with their Facebook accounts, so you can see their profiles, photos and convince that they are not fakes before making an appointment for a transaction. 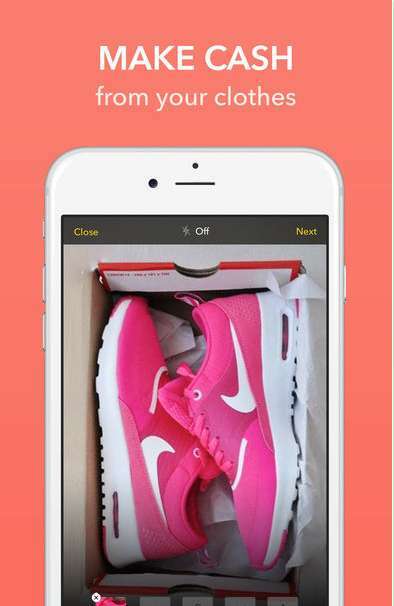 This app has the numerous categories which make it faster to look for a specific item. You can mark your goods as “available,” “sale pending” or “sold”. Varagesale is really a virtual garage sale! OLX is a multifunctional app with a clear interface that lets you find and make great deals for your lesser-used Cars, Bikes, Mobile Phones, Electronics, Home & Apparel Fashion, Pets, Baby & Kids Products and more. You can create free ads here. Your phone number will be verified so other buyers will be confident in the reliability of the source. You can correct, delete or re-activate your ads. Sellers and buyers can be found by using OLX filter: search localities for finding closest to you. You can filter the products by localities of your interest. You can chat with sellers/buyers and negotiate prices privately. Also, you will get notifications from other sellers and buyers near you. OLX is a flea market that is always with you! Shpock is a second-hand SHop which is always in your POCKet. Here you will sell your goods fast & easy with just a few clicks. Shpock is available 24 hours per day. You can sort items by their location or by category: Fashion and Accessories; Home and Garden; Electronics; Movies, Books and Music; Baby and Child; Sport, Leisure and Games; Cars and Motors. Adding a new post is simple and fast: just put a photo, add a title, make a description, set a price and your post will be ready for others to view. You can share your posts with friends via email, Facebook or Twitter. Let your friends have a chance to purchase beautiful things first! Here are no fees or hidden payments. You can sell and buy absolutely free. But if you want to promote your item even more prominently, you can buy some extra premium features. All in all, Shpock is a perfect service on your smartphone for selling and buying perfect things. 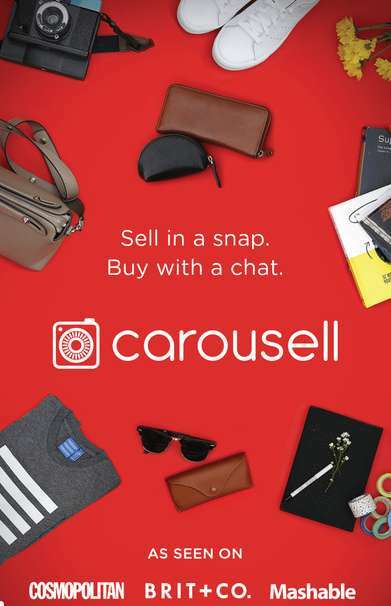 Carousell is an app with the features of flea market where you can sell everything from clothes, accessories, shoes, cosmetics, electronics, cars, kids items, furniture to houses. Declutter your closet, room, or home of old stuff by putting them up for sale on Carousell, the best place to find a new home for your pre-loved items. One of the most attractive features of the app is that you can create and join Carousell Groups. Buy and sell in interest groups, neighbourhood groups, school groups and more. It’s more trusty and fun to buy and sell in a community that you and fellow members care about! To reach more buyers you can post your ads in different groups. You can also share your posts via Facebook, Twitter and Instagram, get likes and comments on the things you are selling. You have a chance to create beautiful listings to sell or shop from a massive online marketplace wherever, whenever! Want to sell your old stuff? Thinking how to do it fast and safe? Mercari application is for you! You can sell everything from jewellery, clothes, beauty accessories, kids items to cars and electronics here. To start selling just take a photo (you can even use filters for making your photo more pretty), make a description and add a price! That’s all! The community includes more than 3 million users. 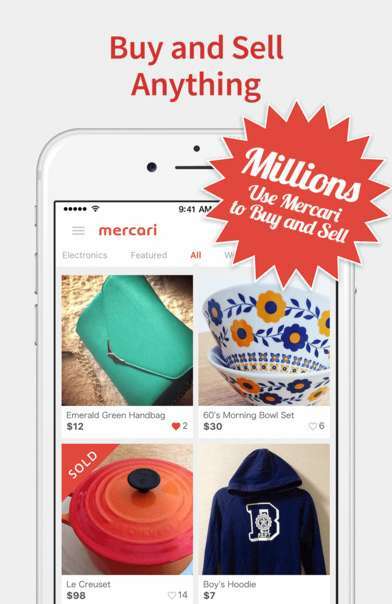 You have a great chance to make extra money selling on Mercari! 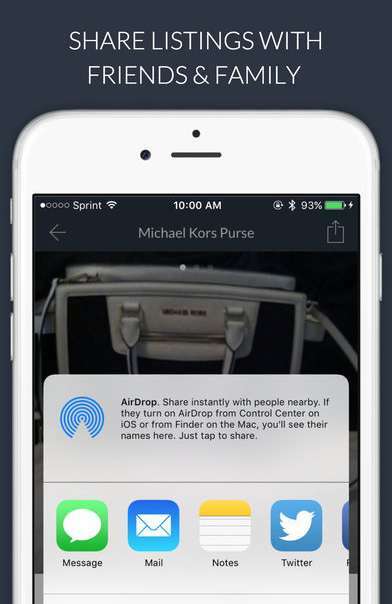 You can communicate with buyers right from the app, share your ads with Facebook, Twitter, and Instagram contacts. Buyers will certainly trust you, as they can view your rating on Mercari before transactions. Get Vinted if you love fresh style ideas! 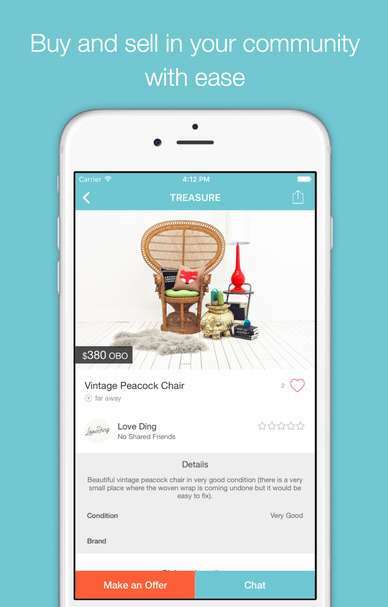 Vinted is not just an app for selling your unwanted but yet trendy things. It is a fashion application, where you can communicate, explore style ideas, meet people from all backgrounds. Find fashionistas you will sell your stylish clothes to! Save for your next big dream and boost your budget selling on Vinted. Cool Nike sneakers, classy Brandy Melville handbags or Ralph Lauren designer clothes – great brands are flying off Vinted shelves. You can find people who love your style and get loyal buyers. You can set your price and control your discounts. It is always free. Vinted won’t cost you a cent until you make a sale. Amazon Seller is an innovative way to make business on selling your old stuff online. You can create listings quickly and sell your items on Amason Seller fast & easy! Here you can manage your ads (you can easily update your prices and quantities). You will get notifications when your item sells. With Amazon, it is much easier to find new products to sell. Check current prices, sales rank, competing offers, and customer reviews by using text search or continuous scanning with product images or barcodes. You will also be notified on the go for opportunities to sell new products and keep your pricing competitive. Sell with Amazon and make your business more successful! Want your Instagram, Facebook, Twitter and Pinterest accounts work and help you to make extra money? Glad to say you that they are now shoppable! Spreesy is a perfect way to sell your old stuff directly to your contacts on your social networks. 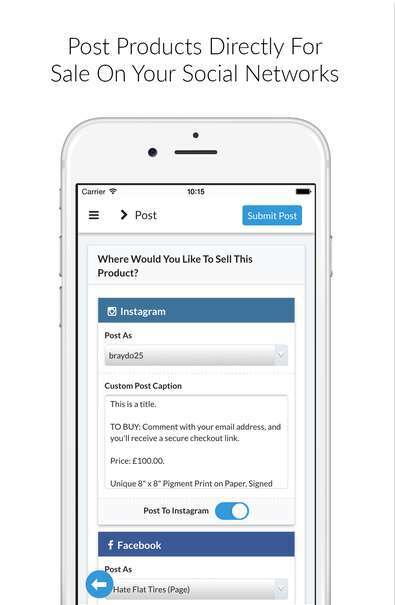 To post your ad on Facebook, Instagram or Twitter, you should create it on Spreesy firstly. It will not take even two minutes! It is absolutely free. No sales fees, no monthly fees, no listing fees. All in all, Spreesy is one of the simplest sales apps. Try it! 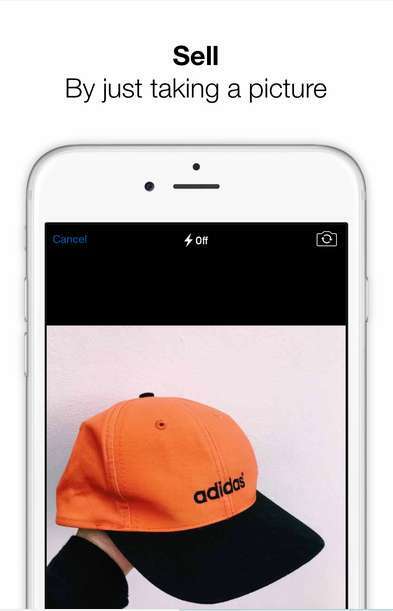 Depop is partly an Instagram-style social network and partly an eBay market. It is one of the easiest and fun ways to sell. You can open your own shop here, then communicate with buyers, follow your friends and favourite shops. To sell something you just need to take a picture of it. You can promote your shop on Instagram, Facebook, and Twitter. Great way to make some cash! You needn’t waste time anymore, searching for a secure app to sell your items or to buy something. Tradyo is a good social service where you can communicate with buyers/sellers directly through the built in chat. You can buy and sell locally as Tradyo has the built-in support for location determination. So, your approximate location will be posted as part of your ad and you will see the actual location of other users too. You can even choose if you would like to be contacted by phone or only through in App chat. Here are multiple categories: appliances, cars, arts & collectables, baby items, clothing, jewellery, toys, etc. Trove app is a flea market where you can sell antique, unique or vintage furniture, home decor, and other treasures that you have in your home but don’t need anymore. To sell locally and make money is as easy as never before! Take a photo of a selling item, mark days and times of availability so buyers know when the item is available. Wait for buyers! They will make offers on your items and you can accept or decline until you see the maximum the buyers are willing to offer up to. You will be paid securely right in the app through Direct Deposit or Venmo for credit card offers. You can also accept cash offer up to your preferences. Safe and easy way to sell and buy things in your local area! Happy Troving! 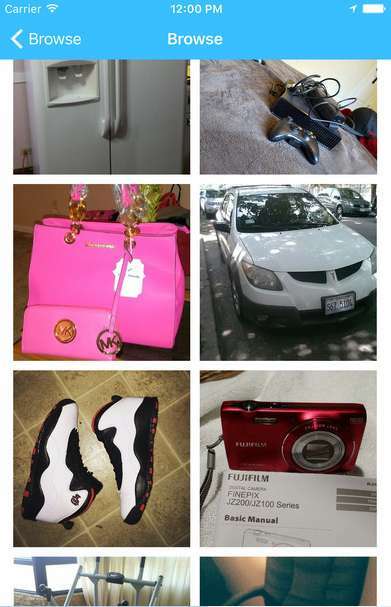 SocialSell is a free service for selling used and new (but unwanted) items. It includes a great variety of categories: Electronics, Men’s Apparel, Women’s Apparel, Household and Yard, Entertainment, Music, Antiques, Automotive, Children and Kids, Collectables and Memorabilia, Education, Living, Outdoors, Sports and Fitness and more! SocialSell is a marketplace and a social network at the same time. You can communicate with buyers here. To post an ad will take no more than 1 minute. You can post an unlimited amount of items on SocialSell. This app is almost like an online treasure hunt! 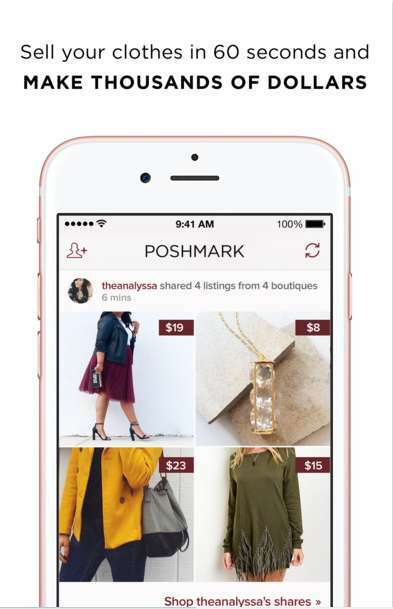 To sell your fashionable clothes, shoes, accessories and more use Poshmark sales app! It is the leading flea market to sell/buy fashion. This is where you want to be, without a doubt! No other site offers so many services, tips on selling, problem resolution, credit card transactions, hassle free shipping and much more. And the people, your fellow POSHERS! Do you have items in your closet that didn’t work out? Maybe a designer handbag, statement shoes, or even your old wedding dress you wore once and won’t ever wear again? Poshmark is the number 1 online consignment solution for a girl to sell her unwanted clothing in order to buy new things she’s coveting, providing an alternative to Goodwill and other consignment stores like Buffalo Exchange. 1 in 50 American women have their closets open for sale on Poshmark—you could be next! All of these apps are super easy to use, and free too. So, you could easily download an app, post a listing and earn money off of things you no longer need. Also if YOU are looking for buying something unique (for example, a unique tea table or antique armchair, a low priced TV for your summer kitchen or something like that) maybe you will be interested in local garage sales too. 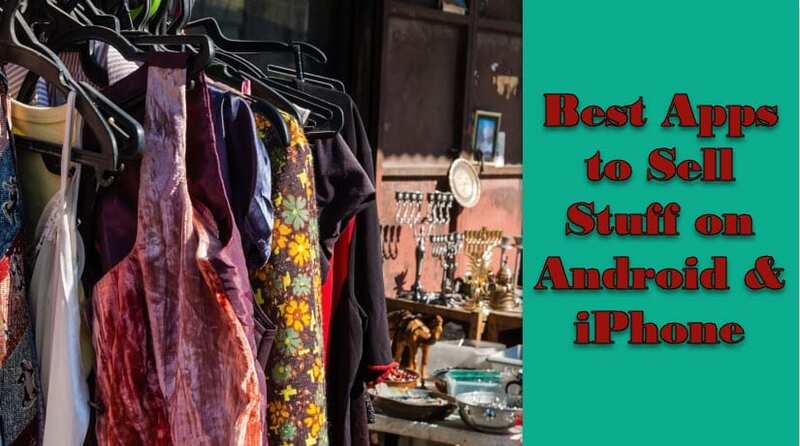 Here is the list of 8 best garage & yard sales apps for Android and iPhone.